I think my dad would say that the only thing our dogs were trained to do was to escape from our yard. . . Growing up we had a Miniature Poodle, Rascal, who was a gift from my aunt when I was around seven. We girls thought he was the most amazing and wonderful gift. My parents, who knew nothing about this in advance, had a different opinion! Several years later, my dad brought the most beautiful and sweetest Harlequin Great Dane. I never thought to ask the details of where she came from, but we knew she had been abused. In fact, she was afraid of almost everything when she first came home. We named her Appaloosa because she walked like a horse, and called her Appy for short. And yes, those dogs loved to be free!! Anytime they could escape from our suburban yard, they would. Funny thing is that all we had to do to get them back into the house was roll the car into the driveway and open the doors. The dogs would come running and get in the car, we’d close the doors and drive it back into the garage. For such smart dogs, it was pretty funny we could trick them like that. . . I would like to thank Dana Mentink for giving me this copy of the book. This gift did not influence my opinion or review. This fast-paced prequel introduces a team of K-9 officers and their trusty companions who will take on the evils lurking in New York City through a series of books by various authors over the next several months. It is amazing how much can be packed into a short book. Declan and April’s story immerses us into the world of the NYPD True Blue K-9 team. Declan is still training his faithful dog, Storm and trying to overcome the stigma of his father’s actions. As April’s brother’s best friend, he had been warned away from April. I loved Storm’s favorite reward and the fact that she made Declan carry it with him. I won’t spoil your fun in learning what this treat is that his fellow trainees loved to tease him over. I am always thrilled when reading fiction enlightens me regarding the real world. Shield of Protection showed me some interesting things about police dogs and the types of service they are used for and even explained a little about why they are good at what they do. The romance had a backstory that was explained a little, and really, it was enough to make sense. Nevertheless, it seemed a bit rushed – though as a novella, this is to be expected. Shield of Protection is a fun, action-filled suspense story that would be a great choice when you only have a couple hours to spare. 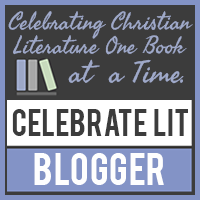 Dana Mentink is a two time American Christian Fiction Writers Carol Award winner, a Romantic Times Reviewer’s Choice Award and a Holt Medallion winner. She is a national bestselling author of over thirty five titles in the suspense and lighthearted romance genres. 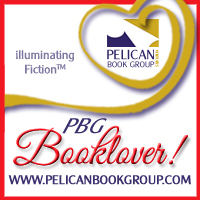 She is pleased to write for Harlequin’s Love Inspired Suspense, Harlequin Heartwarming and Harvest House. Dana was thrilled to be a semi-finalist in the Jeanne Robertson Comedy With Class Competition. Besides writing, she busies herself teaching third grade. Mostly, she loves to be home with Papa Bear, teen bear cubs affectionately nicknamed Yogi and Boo Boo, Junie, the nutty terrier, a chubby box turtle and a feisty parakeet.